Four Seasons Resort Costa Rica at Peninsula Papagayo, the only Forbes Five-Star luxury resort in Central and South America, announces a USD 35 million extensive re-imagination that will bring a striking new interpretation of modern eco-luxury and meaningful explorations to Costa Rica’s north Pacific coast in December 2017. Active families and couples, nature enthusiasts, bold adventure seekers and more will discover a world apart at the re-imagined Four Seasons Resort Costa Rica located on a strait of back-to-back sandy beaches within the premier eco-tourism destination of Peninsula Papagayo. All of the Resort’s five culinary venues will be re-conceptualised with a fresh approach that focuses on locally-sourced organic foods. Highlights include three re-imagined restaurants and an all-new Añejo bar and Library lounge serving artisanal rum and spirits. The Resort’s signature restaurant will offer a new farm-and-sea-to-table concept and a showpiece outdoor kitchen. A redesigned lower lobby lounge will provide a dynamic gathering space for guests that transitions throughout the day from grab ‘n go offerings in the morning to a relaxed lounge and bar setting during afternoons and evenings. Guests can also enjoy an enhanced steakhouse and an Italian and Mediterranean seafood-focused restaurant. 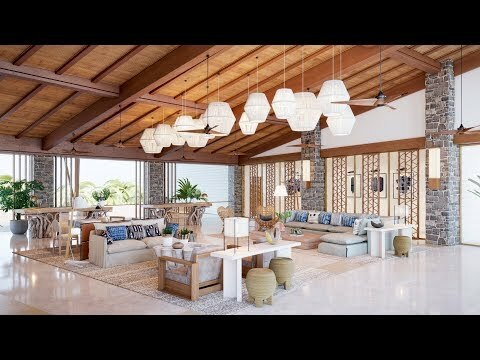 The December 2017 debut of the re-imagined Four Seasons Resort Costa Rica will also signal the launch of a more than USD 100 million investment toward a major transformation of the 1,400-acre (570 hectare) Peninsula Papagayo – one of the premier residential and resort communities in the Americas. Guided by new ownership led by Miami-based Gencom, a leading international luxury hospitality and residential real estate investment and development firm, the ambitious destination transformation will connect and celebrate the sprawling Peninsula from end to end for the first time. In addition to the Resort renovation, the first USD 100 million phase will include all-new Peninsula amenities, immersive adventure and cultural experiences and a Peninsula-wide network of more than eight miles (13 kilometres) of nature trails designed to integrate man and nature and help preserve one of the most extraordinary biological corridors on the planet. To make reservations now for stays beginning in December, call 1 800 819 5053 or book online.